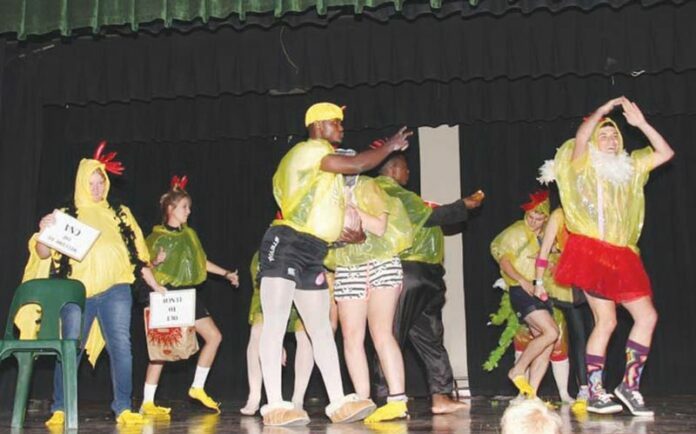 On Thursday evening, 25 January, Piet Retief High School’s hall was filled with excited parents and students awaiting the start of the annual Groentjie Concert. 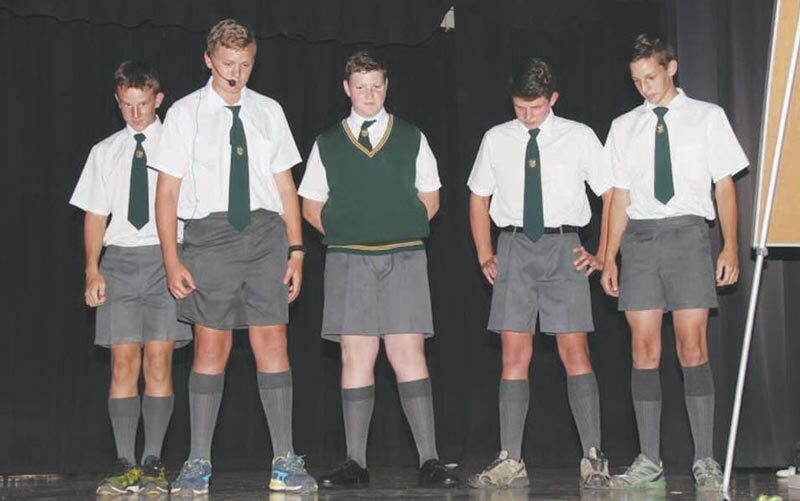 ‘Willie Wouter en die Wonderskool’ was based on the film “Charlie and the Chocolate Factory”- the eager group of kids is replaced by a group of not so eager students touring a dangerous new environment – High School! With each new scene, another student was left behind or carried away by a stereotypical High School clique, like the drama geeks or gym nuts. The grade 8’s danced and acted their way to glory. After a hilarious dance performance by the schools newest teachers and student teachers, and a medley of music videos starring HPR’s staff, the “Aggies” recited the Grade 8 Oath and in doing so, became official Pieties.